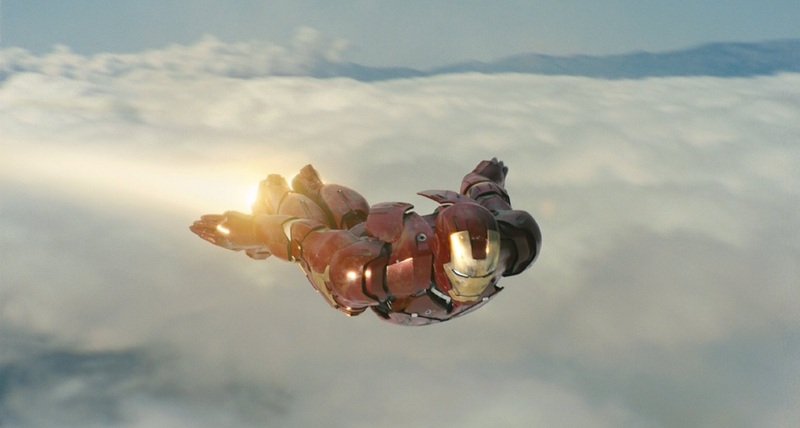 Iron Man (2008) – Movie Review – Another Movie Blog! Before every movie studioes wanted to make was a set up to a universe, and Hollywood was making decade long business plans on the successes of singular films, there was Iron Man. The first film of Marvel Studios as its own production house – under the creative management of Kevin Fiege – no one could have predicted at the time what the end credit scene would mean for movies going forward. When you consider the other superhero blockbuster in 2008 was The Dark Knight, its compelling to see them representing two different sides of the modern film industry; the dark deconstruction of heroism in the latter, and the franchising possibilities of the former (some movie this year decided it would be best to combine the two). It’s been such a change that it can be hard to remember this movie is only eight years old. Apparently, for such a risky starting venture, Marvel had no real script to work on when it came to Iron Man. They spent most of the money on special effects set pieces, which although created a framework that the story had to follow did not put as much concrete details for anything else. For all intents and purposes could have been a disaster if the right cast and crew were not up to the job. Enter Jon Favreau. He may have directed things like the oft overlooked Zathura, but nothing really screamed superhero blockbuster. Favreau’s background comes from improvisational comedies like Swingers (which he did not direct), Made and Elf. But with the casting of Robert Downey Jr. as Iron Man, that became an advantage, because of his way with improvisational comedy and quippy lines. Downey owns the part of Iron Man in a way so few actors do, because in many ways his Lothario persona actually improves on and enhances the character on page, to the point we ignore some of the changes. The lack of guidelines as strong as in future Marvel movies meant they could change certain aspects of characters and enemies as seen fit, from the Ten Rings being a Middle Eastern terrorists to Jarvis being an AI System, and it all fits perfectly into this world. With his rapport with the rest of the cast this is a superhero movie that even though the main storyline revolves around war profiteering and terrorist groups also functions as a 40’s era screwball comedy. This is particularly true in the scenes with Gwyneth Paltrow as Pepper Potts, tripping over each other’s comedic banter in way that’s both friendly barbs, sexually tense and just plain tense at points. In other setting these two tones could be disastrous, but the fantastical framework of the whole thing makes it work very well. The special effects battles also hold up, primarily because they are a function of the character and his own self interests. From escaping his captors to returning to prevent the damage being caused by his own weapons, all the action (up until the end) is character based. That is also why the fact that the main enemy of Iron Man being “the good guy, just bigger and evil” trope doesn’t bother me as much here as in some future films, because every enemy in this film is a reflection of Tony Stark’s self interest and company responsibilities. The one thing about the enemies that do frustrate me though is a frustating thing about all the Iron Man films, which is that the plot points and themes are so obviously about the war in Iraq but it never embraces them whole hog to make specific comments about it. The end result is this sense of militarism and a somewhat reactionary “get the foreign looking man” vibe, when just a couple of changes to the framework would have shown how complicated the system is without making the movie complicated. The main problem though comes back to what I said about them thinking about the special effects first, so like so many superhero films the final few minutes descend into the hero and villain punching each other for an extended period of time, ending up exhaustive as a result. It would maybe be helped more if Obidiah wasn’t written in such a cliche fashion – he’s bald, so you know he’s gonna be bad! – and though as always Jeff Bridges his all he isn’t able to overcome the lack of motivation. We wouldn’t know that this would be the first signs of the systemic “villain problem” with Marvel, but at least this is one of their lesser failings.